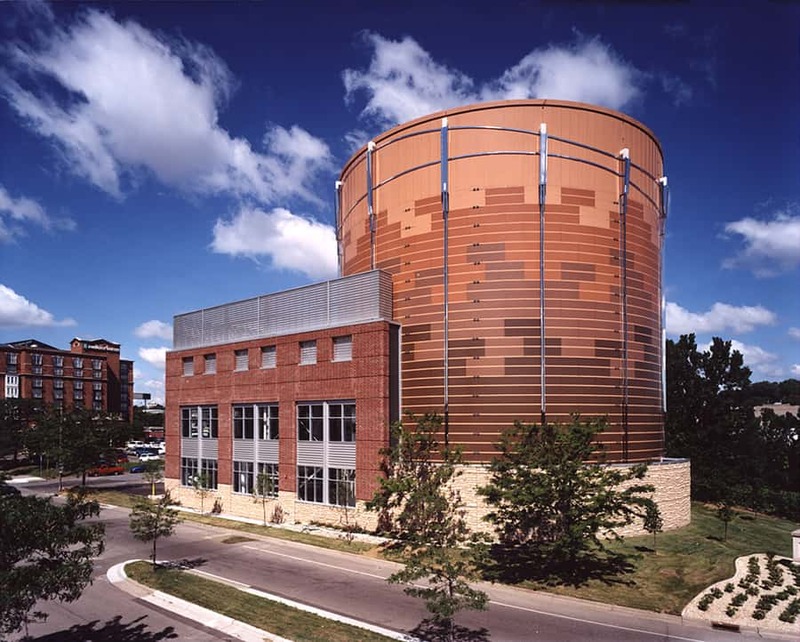 Located in a growing residential section of downtown Saint Paul and next to the intersection of interstates 94 and 35E, the District Energy thermal water storage tank and chiller became a high-profile addition to the city’s skyline. Holding 4 million gallons of water, District Energy uses the storage tank and chiller to cool downtown office buildings, eliminating the need for individual buildings to have their own chillers and cooling towers. Water is chilled at night, taking advantage of less expensive off-peak electrical rates, stored in the insulated tank, and drawn from the bottom of the tank to distribute during the day to buildings throughout downtown. Given the highly visible location of the tank, stone and brick were selected to complement the feel of the area and avoid the industrial look of a very utilitarian structure. 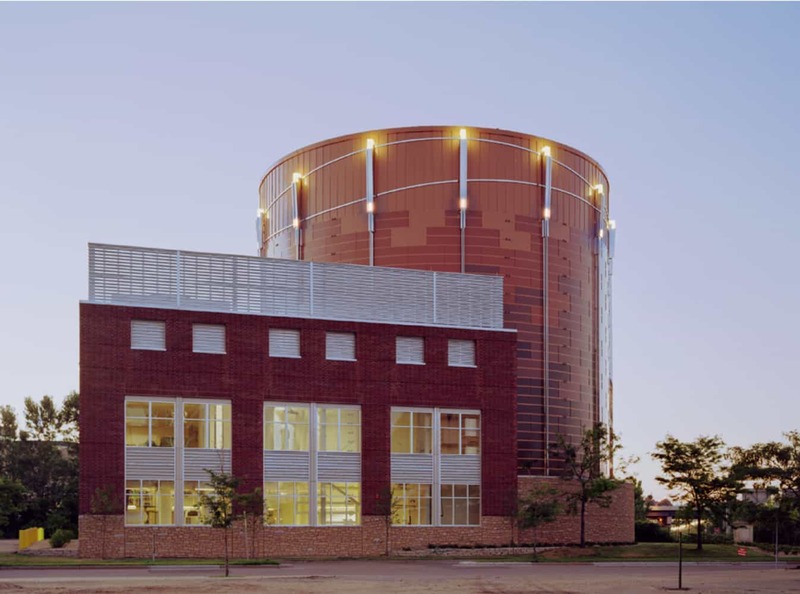 The tank’s cladding shifting from dark to light symbolizes the layers of warm and cool water inside, while accent bands at the top mimic the rolling waves of the nearby Mississippi River. Window arrangements help break down the scale or the facility and contribute to a pedestrian-friendly streetscape.